Kazbegi is an administrativ centre of one of the most beautiful regions in Georgia. It lies about 1750 m above sea level and is famous with its spectacular nature and views. One of its remarkable place is Mkinvartsveri , which with its 5047m hight is considered the second tallest mountain in Georgia After the Shkhara mountain 5068m above sea level. Between the remarkable places of Kazbegi region one of the most distinguished sights is Gergety Trinity church lying in front of the Yazbegi mountain (2200m above sea level), making unforgettable impression on the viewers and if the weather is fine you are really lucky because you can take pleasure of the amazing views of the Caucasus Region and mountains of perennial mountains. The Museum is located in the memorial house of the Georgian writer Alexander Kazbegi (1848-1890). Together with the library and personal belongings of the writer, the museum houses ethnographic artifacts typical of the Khevi region; archaeological exhibits; religious relics; books, and various works from local artists. 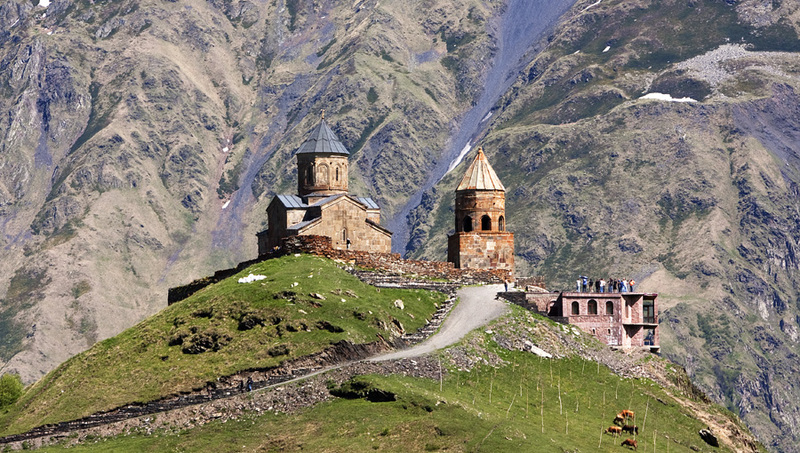 This architectural complex from the XIV century is located in the village of Gergeti, 6 km from the town of Stepantsminda, at a height of 2200 m. The complex includes Holy Trinity Cathedral, constructed in the XIV century, the bell tower built in the XIV century, and clergy houses from the XV century. You can hike up to the complex in about two hours, hire a driver, or even rent a horse! The gorge begins at the confluence of the river Chkheri and ends near Upper Lars. The Gorge itself is 11 km long. 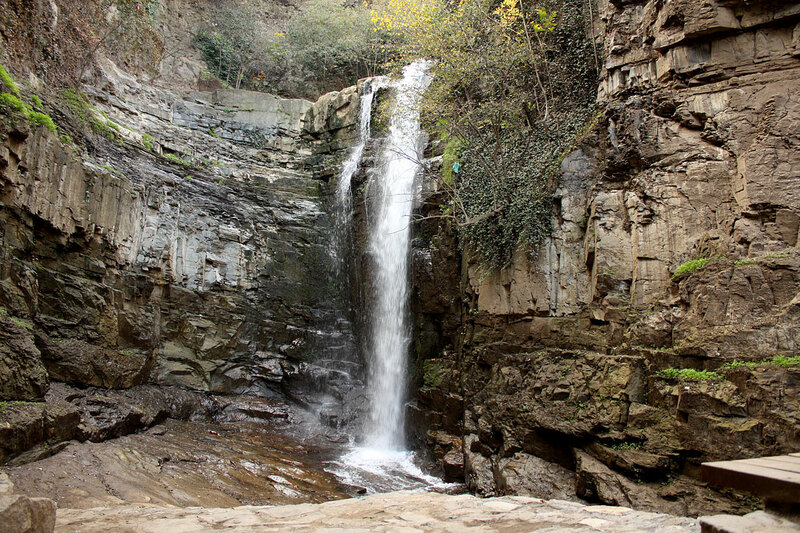 The confluence of the Kabakhi and Khda rivers is the most narrow and rocky part of the gorge.